Today (17 April) ExchangeWire have announced the appointment of Mathew Broughton (pictured) as editor. Broughton joins the growing ExchangeWire team to take on responsibility for ExchangeWire’s global editorial offering. 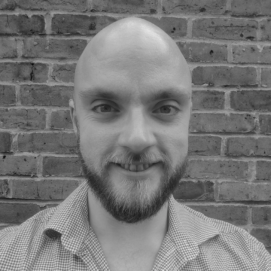 Broughton joins ExchangeWire from a content management role in telecoms and tourism, to apply his technical and editorial experience to analysing the burgeoning advertising and marketing technology industries. In his position as editor, Broughton will focus on curating and developing content for ExchangeWire globally, placing a lens on the evolving industry and the challenges and opportunities it faces. Broughton will report into Lindsay Rowntree, head of content across WireCorp’s portfolio; ExchangeWire, DTCDaily, and TheGamingEconomy.